ASIMO – FOP Shvachko V. V.
Honda began developing humanoid robots in the 1980s, including several prototypes that preceded ASIMO. It was the company’s goal to create a walking robot which could not only adapt and interact in human situations, but also improve the quality of life. Differing from its predecessors, ASIMO was the first to incorporate predicted movement control, allowing for increased joint flexibility and a smoother, more human-like walking motion. Introduced in 2000, the first version of ASIMO was designed to function in a human environment, which would enable it to better assist people in real-world situations. A new ASIMO was introduced in 2005, with an increased running speed, which is twice as fast as the original robot. In 2007, Honda updated ASIMO’s intelligence technologies, enabling multiple ASIMO robots to work together in coordination. This version also introduced the ability to step aside when humans approach the robot and the ability to return to its charging unit upon sensing low battery levels. ASIMO has the ability to recognize moving objects, postures, gestures, its surrounding environment, sounds and faces, which enables it to interact with humans. The robot can detect the movements of multiple objects by using visual information captured by two camera “eyes” in its head and also determine distance and direction. This feature allows ASIMO to follow a person, or face him or her when approached. The robot interprets voice commands and human hand movements. ASIMO’s ability to distinguish between voices and other sounds allows it to identify its companions. ASIMO is able to respond to its name and recognizes sounds associated with a falling object or collision. ASIMO responds to questions by nodding or providing a verbal answer and can recognize approximately 10 different faces and address them by name. ASIMO is the part of Honda’s Research & Development robotics program, that is accumulating the experience in creation of a robot that navigates steps, walks, and even dances. With aspirations of helping people who lack full mobility, ASIMO is used to encourage young people to study science and mathematics. Since ASIMO was introduced in 2000, the robot has traveled around the world and performed in front of international audiences. In 2004, ASIMO was inducted into the Robot Hall of Fame. In January 2010, Honda debuted its “Living With Robots” documentary (the film focuses on the experience of human interaction with robots like ASIMO) at the Sundance Film Festival in Park City, Utah, USA. Now users can learn about the development of ASIMO, and then share their opinions on Twitter and Facebook. 1. Honda Worldwide | ASIMO. – Mode of access: http://world.honda.com/ASIMO/. 2. ASIMO by Honda | The World’s Most Advanced Humanoid Robot. – Mode of access: http://asimo.honda.com/. 3. ASIMO Frequently Asked Questions. – Mode of access: http://asimo.honda.com/downloads/pdf/honda-asimo-robot-fact-sheet.pdf. 4. ASIMO. – Mode of access: http://en.wikipedia.org/wiki/ASIMO. 5. ASIMO. – Mode of access: http://uk.wikipedia.org/wiki/ASIMO. 6. ASIMO. – Mode of access: http://ru.wikipedia.org/wiki/ASIMO. 7. ASIMO | Facebook. – Mode of access: https://www.facebook.com/ASIMO. 8. ASIMO (ASIMO) on Twitter. – Mode of access: http://twitter.com/asimo. 9. Honda. – Mode of access: http://en.wikipedia.org/wiki/Honda. 10. File:2005 Honda ASIMO 01.JPG. – Mode of access: http://en.wikipedia.org/wiki/File:2005_Honda_ASIMO_01.JPG. 11. File:2005 Honda ASIMO 02.JPG. 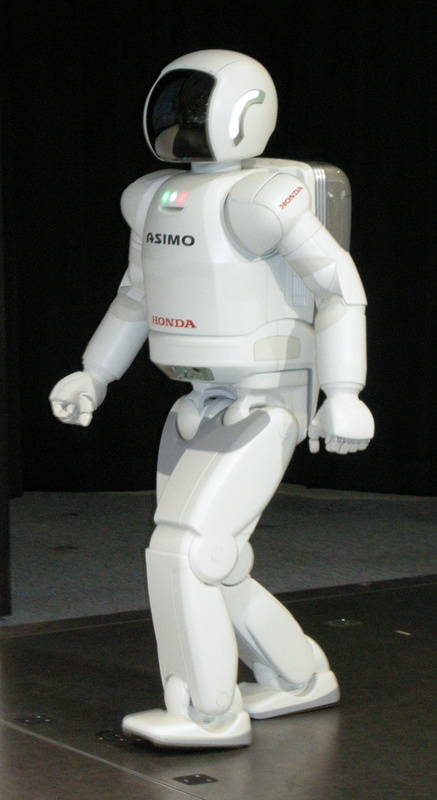 – Mode of access: http://commons.wikimedia.org/wiki/File:2005_Honda_ASIMO_02.JPG. 12. 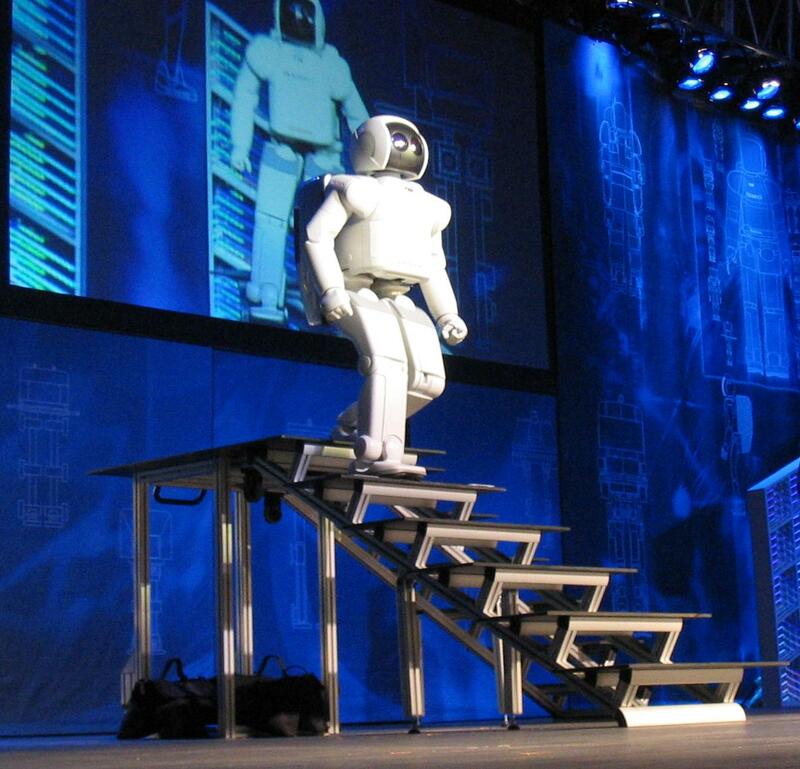 File:Honda ASIMO Walking Stairs.JPG. – Mode of access: http://commons.wikimedia.org/wiki/File:Honda_ASIMO_Walking_Stairs.JPG. 13. File:Honda ASIMO (ver. 2011) 2011 Tokyo Motor Show .jpg. – Mode of access: http://en.wikipedia.org/wiki/File:Honda_ASIMO_%28ver._2011%29_2011_Tokyo_Motor_Show_.jpg. 14. new version amazing robot asimo. – Mode of access: http://www.youtube.com/watch?v=Q3C5sc8b3xM. 15. ASIMO – All New Features 2011. – Mode of access: http://www.youtube.com/watch?v=zul8ACjZI18. 16. Asimo at AirVenture 2012. – Mode of access: http://www.youtube.com/watch?v=uUiZ8rZ8wzI. 17. Honda ASIMO demonstration. – Mode of access: http://www.youtube.com/watch?v=xt090WrKU3w. 18. Robot Hall of Fame: Home. – Mode of access: http://etc.cmu.edu/projects/rhof/csc/index.htm. 19. Holland J. Designing Autonomous Mobile Robots / John M. Holland. – Amsterdam ; Boston ; Heidelberg ; London ; New York ; Oxford ; Paris ; San Diego ; San Francisco ; Singapore ; Sydney ; Tokyo : Elsevier ; Newnes, 2004. – 335 p.
20. Mobile Robots – Moving Intelligence / ed. Jonas Buchli. – Vienna; Mammendorf : Advanced Robotic Systems International ; pro literatur Verlag, 2006. – 577 p.
1 Author released this work into the public domain.